Dubbed a varsity Sport for the Mind,™ FIRST Robotics Competition (FRC) combines the excitement of sport with the rigors of science and technology. 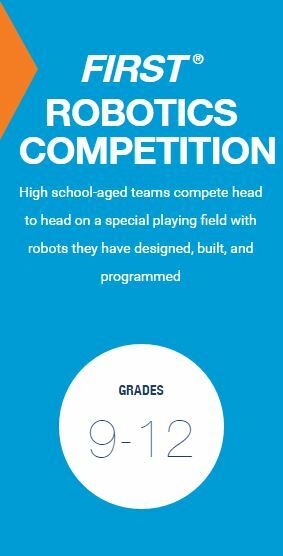 Under strict rules, limited resources, and time limits, teams of 25 students or more are challenged to raise funds, design a team “brand,” hone teamwork skills, and build and program a robot to perform prescribed tasks against a field of competitors. It’s as close to “real world” engineering as a student can get. Professional Mentors volunteer their time and talents to guide each team. Robots are built in 6 weeks from a common kit of parts provided by FIRST, and typically weigh up to 150 lbs. Working with adult mentors, students have limited time to design, build, program, and test their robots to meet the season’s engineering challenge.